Dr. Naran received his first qualification as a medical doctor in South Africa in 1987. He spent three years there, working in various hospitals practicing internal medicine. 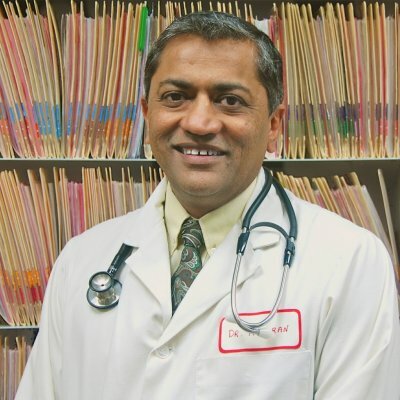 He then came to Canada in 1990 and worked in Chetwynd (a northern community in British Columbia) for two years as a family physician after which, he moved to North Vancouver in 1993 and opened his own family practice. He obtained his Acupuncture qualification at the University of California, Los Angeles, in 1995. Since then, he has practiced acupuncture concomitantly during the day with the general practice patients. In 2008, he obtained his certification in Trigger Point Therapy at the George Washington University, home of Janet Travell. He is also affiliated with the College of Physicians and Surgeons in Canada since 1990 and a member of the Canadian Foundation of Acupuncture. 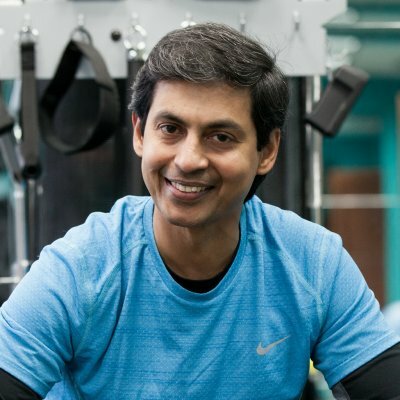 Dr. Naran believes that first, he needs to inform and educate his patients and then guide them towards understanding and experiencing the benefits of exercise,nutrition and weight management in order to alleviate and manage pain. These factors, according to him, will help reverse degeneration and ill-health, not just for his patients, but their families too. As a certified personal trainer, Nazim is dedicated to helping all his clients set health goals, strategies and providing them with support every step of the way in achieving those health goals. He gives every client personalized and detailed attention. His dedication and care extend to following up with his clients’ progress or discussing ways of solving problems that may obstruct their progress. Nazim affirms that empowering his clients with knowledge and improved information on the effects of a healthy and active lifestyle, will not only help them on their journey to healthy living but will have a strong impact on their families and future generations as well. Having a varied background in athletics, dance, and fitness and having traveled the world as a performer, Nazim has the ability to reach out to individuals of all ages, interests, and diversity. He has trained many professional athletes, celebrities, and professional dancers. Certified with Can-Fit Pro Canada, BCRPA and Functional Movement Screening, Nazim’s philosophy has always been health and fitness for your life- mind, body and soul. Having worked as a natural foods chef for over 20 years, Leslie’s passion for nutrient dense, whole foods, led her down the garden path towards holistic health coaching, with a strong focus on ancestral diets. Understanding the relationship between food and the body has been an integral factor in Leslie’s journey as a Nutritional Coach. In 2012, she completed an intensive Holistic Health Coaching program through the Institute of Integrated Nutrition and has more recently engaged in an ongoing study that focuses on the Primal Blueprint, Ketogenic and Paleo diets. 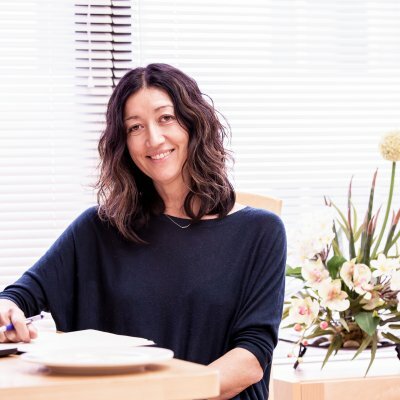 Leslie’s professional focus is on demystifying the ever confusing world of ‘fad diets’, by introducing clean, healthy, functional whole foods and their profound effects on the human body. She likes to carefully assess and understand the food habits and needs of every client. Leslie affirms that she will devise a game plan with each of her clients, that will enable them to quickly discover how effortlessly the body will start to work with the self, as a means towards ultimate health and overall wellbeing. 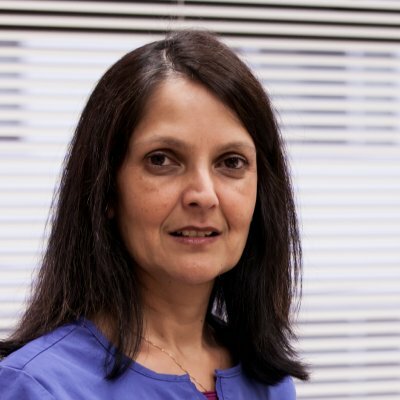 As an advanced level Laser Therapy technician, Priti’s passion stems from her interest in working and interacting with people. She is organized and detailed and strives to give each of her patients clear and careful attention when working with them. The ability to listen to her patients and understanding their pain-related needs sets her apart as a technician dedicated towards helping them. Hearing about the healing effects of the treatment and the relief the patients receive, are motivating factors for Priti as she continues to elevate her interest in Laser Therapy. 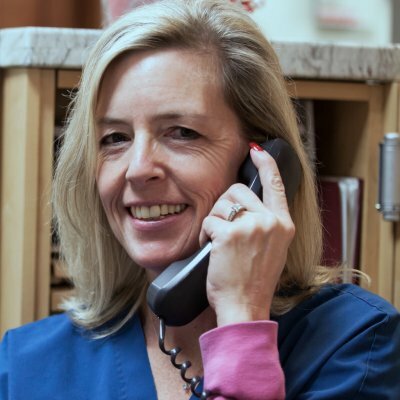 Penny has been working with Dr. Naran for the past 6 years. She greets every client that walks in through the door or over the phone with a smile and welcoming approach. Keeping the environment of the clinic hygienic and comfortable and ensuring that every patient is personally taken care of in a timely manner, play a major role in the effective process of intake and treatment of patients and Penny always strives to do better and more. Her ability to stay calm, comfort patients, multi-task and organize in a detailed and systematic manner are essential in a busy medical office set up. We currently do not have any open vacancies at this time. Please check back later!